Casa Mill Reef is a stunning 6 bedroom villa on Carvoeiro Clube, in an exclusive area close to the tennis centre, with large private pool and every possible convenience required for your stay: Air-conditioning, central heating, daily maid service (except Sundays), TV/DVD/Video/Hi-fi/CD, wi-fi access, huge brand new beautiful fully equipped kitchen, three sitting rooms, very large plot with two gardens and many lawn areas and terraces. 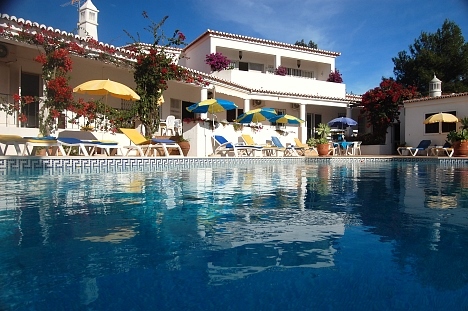 Beautiful beaches nearby and just 5 min from Carvoeiro Golf Clube with the scenic Gramacho and Pinta courses. Many other great golf courses within driving distance: Penina, Vilamoura, San Lorenzo, Parque de Floresta, to name but a few. Safe in villa for guest use. Pool towels can be provided if required (£5 per towel per booking). 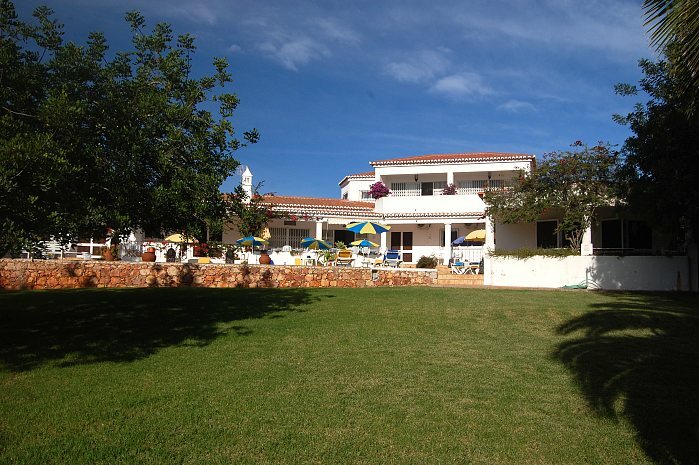 1 minute walk to Carvoeiro Clube Tennis. 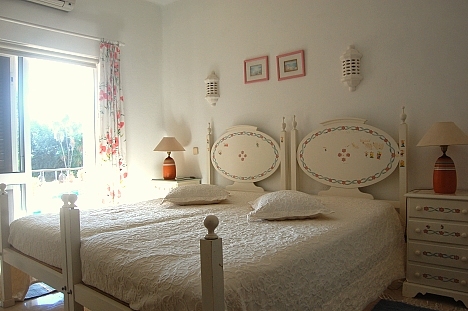 All of this set in large and beautiful gardens, affording privacy for you and your guests. 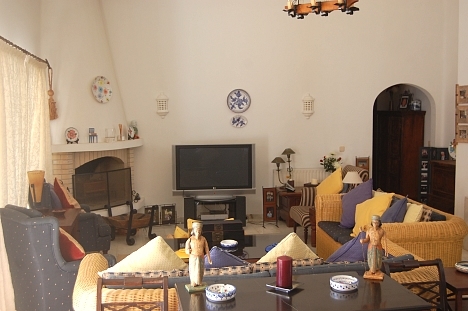 Extremely spacious & luxurious villa which is furnished and equipped to a high standard with marble floors throughout. 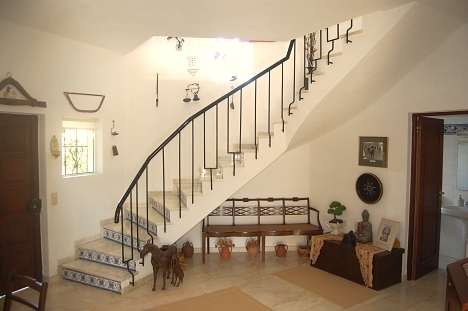 Situated on the Carvoeiro Clube, the villa is secluded. All bedrooms furnished to a high standard with good sized bathrooms and equipped with good quality fittings. 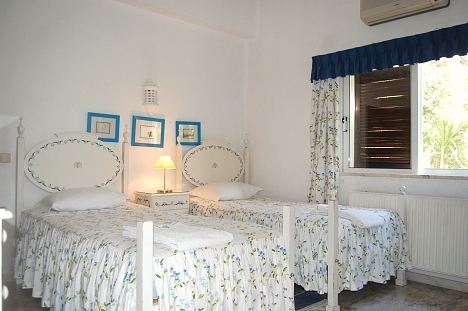 4 bedrooms are en-suite & two further twin rooms share one large bathroom in immediate vicinity. Additional shower room/WC. Ample wardrobe and drawer space in all bedrooms. Large open plan sitting room/dining area is situated on two levels and has patio doors leading to the terraces, pool and gardens. Beautiful brand new kitchen is fully equipped (2 ovens, 1 hob, microwave, American fridge-freezer, two dishwashers) and the Utility Room contains a washing machine, tumble dryer and ironing board/iron (maid's use only, but may wash for you at a small charge). Upstairs there are two additional sitting rooms, one smaller with Hi-Fi, TV, video and one larger with balcony, table and chairs and beautiful sea views. This spectacular villa stands on approx. 1 acre of land, giving seclusion to guests. The gardens are laid to lawn with surrounding flower beds/shrubs, the second garden (perfect for Croquet!) giving privacy from the first, if required. There are numerous terraces to gain the maximum sun or shade, as required, and a wealth of additional seating, sunbeds, tables, umbrellas and chairs. Additionally, there is an attractive wall around the pool area which has inbuilt seating. 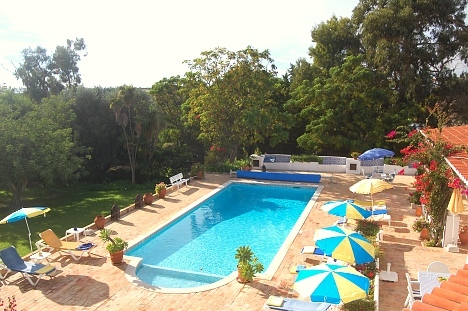 The pool is 6m x 12m and has heating and lighting (there is an additional charge of £160 per week to have the pool heated) and is covered at night to preserve heat and keep clean for guests. There is a regular pool service at the villa. There is a purpose-built barbecue for guest use. The Golf courses of Pinta and Gramacho as well as Vale Do Milho are only 5 - 10 minutes drive away. Carvoeiro itself is about 2km distance, however there are restaurants much closer as well. 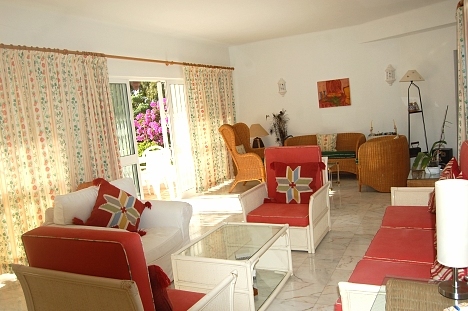 The tennis club, has a gym, beauty salon, hair dressers, coffee shop, mini golf and more. Slide and Splash is 5 mins drive and Zoomarine is 15 mins drive. 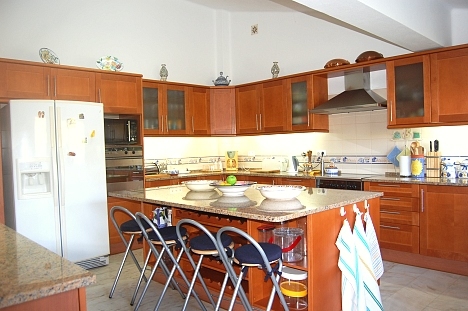 This property has every ingredient for a fun packed & enjoyable family holiday. CENTRAL HEATING (if required): £250 per week.